Feminine hygiene in India was not considered as something important till a few years back. But with women becoming more and more educated and financially independent, they are becoming more aware of the need of personal hygiene. The need for products related to feminine hygiene is increasing. But at the same time the market is flooded with low quality products. Taking this problem in view, two energetic youth from Gurgaon started a venture - Azah. Azah manufactires ultra-soft organic sanitary pads which are safe and comfortable. We are interviewing Azah founder Mr. Aqib Mohammad to learn about the growth and future plan of the company. In India, even in this 21st century, feminine and menstrual hygiene is a subject of ‘taboo’. There are many women who are still compromising with their health by using substandard products for menstrual hygiene. Keeping this concern in view Azah was started with a view to innovate, improve and deliver products that genuinely solves hygiene related problems faced by Indian women. The company’s long term mission is to be a one stop solution for premium quality feminine hygiene products. The feminine hygiene industry is growing fast in India, with women becoming more educated, financially independent and more aware about personal hygiene. Revenue in the Feminine Hygiene segment amounts to US$105 Mn in 2019. The market is expected to grow annually by 6.7% (CAGR 2019-2021). Menstruation and Menstrual problems are rarely discussed because of the social stigma associated with it. In this scenario it is a matter of courage for two boys to startup a company for manufacturing sanitary pads. Azah is a hebrew name for a girl meaning strong and bright. The brand name is inspired by the immense strength a woman carries within herself and consequently as a brand, aims to lend the same qualities to its product line. 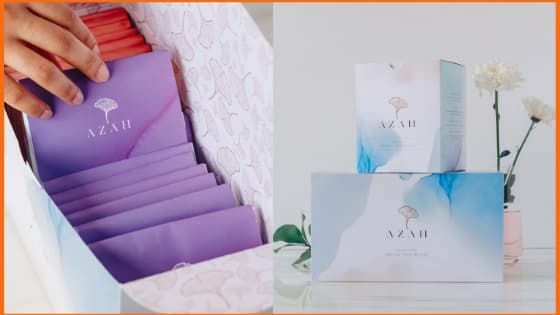 Currently Azah is manufacturing ultra-soft organic sanitary pads, which are available in 2 types of boxes - Box of 12 and 30 pads. Azah pads are made ensuring premium quality at every stage of the production process. Convenient - pads are available in 2 sizes. Both the sizes can absorb light, medium and heavy flow. Chemical Free - as the pads do not contain harmful chemicals such as chlorine, dioxins, and artificial fragrances. Super absorbent - can absorb to 1000 times its weight in water. Eco friendly - all layers except bottom-most layer are made of cotton or paper. Besides, each pad comes in sealed biodegradable disposal bag. FDA approved - Azah is also one of the first companies in India to ensure that their pads meet approval of US FDA, one of the most reputed and strictest quality certification bodies in the world. Free of harmful plastic and synthetics. While the company got its first set of customers from friends and family, the biggest factor that helped the company scale to 5,000 customers in a matter of 90 days has been an overwhelmingly positive word of mouth. The company also runs social media campaigns to promote its products. Azah raised USD 200,000 in the seed-round funding from a group of angel investors in April 2019. Azah plans to use the funds raised for expansion of its inventory and operations across India. Besides, the company is also planning to use a part of the fund to optimize its supply chain management and improving customer service by leveraging technology. According to the founder, Aqib Mohammad, brand stickiness is very high in this segment. There is very little consumer awareness and women just prefer using whatever brand they were introduced to, in the beginning by their mother or sister. So it's always a challenge for an upcoming brand to convince the customers to switch from their existing brands, which in some cases they've been using for as long as a decade. The company has achieved quite a lot during a short time. It has sold more than 200,000 pads within 5 months of launch. The company has successfully served customers in over 1800 pin codes across India, and it delivers effectively across the country, the average delivery time being 2.5 days. The company has a retention rate of 90% and Net promoter score (NPS) +65. Aqib Mohammad and Shashwat Diesh founded Azah in November 2018. Shashwat and Aqib met while they were working with Snapdeal and both came together to start Azah. Aqib Mohammad graduated from IIT Roorkee in 2015. He worked with Snapdeal and co-founded Edtech startup Xolvr.com, which got acquired in October 2016. 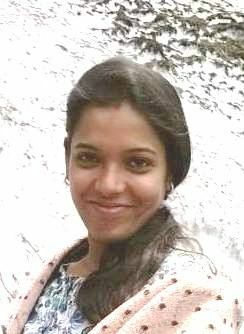 Shashwat Diesh graduated from R.V College of Engineering in 2012. He worked with Ola and Snapdeal prior to starting Azah. We are friends first then colleagues - said Aqib Mohammad. The biggest motivation for every single member of the Azah team is the positive impact that is created through the work that they do throughout the day. The company has tough competition from international market leaders in feminine hygiene like P&G and Johnson & Johnson. But the company has been successful in carving its niche in the market and earn trust of consumers. The company’s future plan is to be a one stop solution for all premium feminine hygiene products. The company aims to serve 20,000 customer per month before the end of the quarter January-2019 - March 2019. The company is growing under the expert guidance of Mr. Mehmood Khan who served in Global leader innovation process, Unilever from 1990-2009.